I have such a treat for you today. (I might be doing spirit fingers, I'm so excited!) I have to introduce Jessica Thompson by telling you that her book, Give Them Grace, which she co-authored with her amazing mom, Elyse Fitzpatrick, is one my favorite books on the planet. Give them Grace radically transformed my understanding of the gospel and had a profound impact on my parenting. My gratitude for Jessica is deep and wide. And I'm honored to share her wisdom with you here! I have an eleven-year old daughter. She plays the trumpet. Or I guess I should say she is learning to play the trumpet. In our school district if you are in 5th grade you have the option of being in the school band. You get to choose from a variety of instruments and in an amazing show of my girl's personality she chose the trumpet. I think her name actually means One who blows into a loud instrument or enjoys making noise. Sometimes when she is practicing I wonder why we don’t have enough money to build a sound proof practice room. Then I remember that she actually has a band teacher who, of her own volition, comes and teaches 45 fifth graders how to play an instrument. I mean, that woman either has zero hearing left, actually hates music, or is perhaps the most patient saint to walk this earth since Mother Teresa. When Allie first started playing she was exceedingly excited, she felt confident and loved to practice. Now that we are half way through the year it is getting harder for her, the teacher is asking more, and she has lost her first love. So, this morning as I dropped her off for school she started crying. “I hate band! I hate the trumpet! It is too hard!” I wish I could say I was as patient as her band teacher, but instead I rattled off a few “you are fine” “You can do it” “Just because it’s hard doesn’t mean you can quit”. And then told her to hurry in to school. 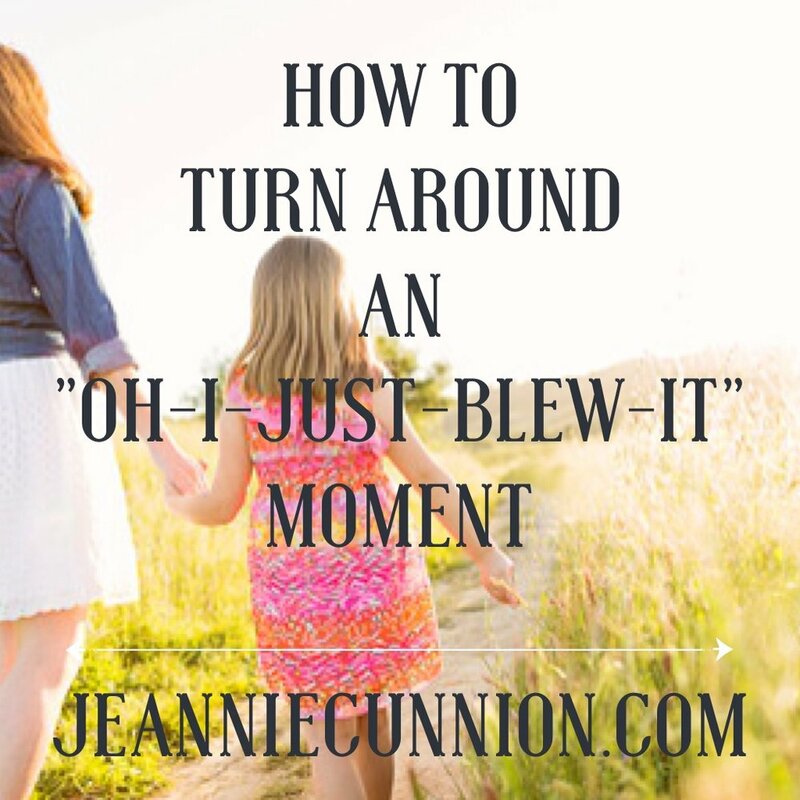 I felt it immediately, that deep sense of "oh-you-just-blew-a-gospel-moment." I get that feeling often and at times I blow it off but the Holy Spirit grabbed me by the ear and whispered “call her back to the car.” So I did, sore-ear and all. I yelled her name and asked her to come back. She opened the door and I asked if I could please pray with her. She fell into the car and into my arms, it was a sweet moment that I almost missed because I really did want to get home to an empty house and a hot cup of coffee. I don’t share this story so that you think I am a good mom who seized the moment and put aside my own wants to pray for my kid. More often than not the opposite of that is true. I share this story because as I drove away I was struck with how patient and kind God is with me. What we need is God's voice of reassurance, His word of forgiveness and His welcome throughout the day. That’s what our kids need too. So before you push them out of the car or send them to their room or yell at them to go practice their trumpet, remind them of all the love they have in Christ. Remind your children of all the things you need to be reminded of and then run to the Savior together. Jessica Thompson speaks regularly at women's conferences, Reformed conferences, and counseling conferences. She has a bachelor’s in theology and coauthored Give them Grace: Dazzling Your Kids with the Love of Jesus with her mother, Elyse Fitzpatrick. 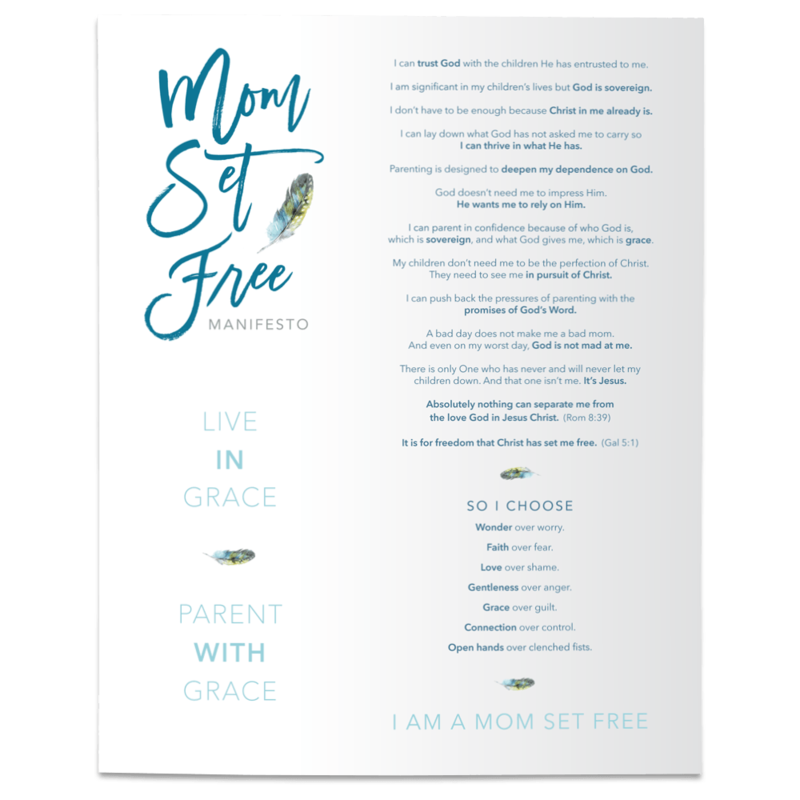 She has also authored Exploring Grace Together: 40 Devotionals for the Family and Answering Your Kids’ Toughest Questions. Jessica is married with three children and lives in Poway, California. She was recently named one of the top 15 authors to watch in 2015 by Vyrso. Connect with Jessica at www.givethemgrace.com, twitter, or instagram.